Two-time GMA Canada Covenant Award-winning singer/songwriter and worship leader Andrew Marcus releases a surprise album. Spending time in the studio experimenting, Marcus’ long time passion for 90’s hip hop music surprisingly resurfaced. Produced and penned by Marcus, the album releases this August containing seven selections that musically take us back to the 90’s and lyrically teach us the Word of God. 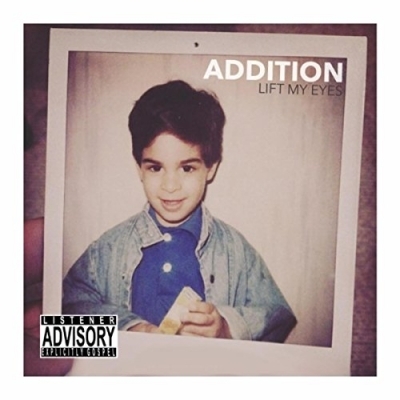 “Lift My Eyes,” ADDITION’s debut single was written after his father encouraged him to write a song with his favorite Scripture: Psalm 121. Read More Two-time GMA Canada Covenant Award-winning singer/songwriter and worship leader Andrew Marcus releases a surprise album. Spending time in the studio experimenting, Marcus’ long time passion for 90’s hip hop music surprisingly resurfaced. With six critically acclaimed recordings to his credit, including his BEC RECORDINGS debut album Constant featuring writing and vocal collaborations with Leeland and Paul Baloche, Marcus has really stepped out of the box with this experimental side project. The multi Covenant Award- winner continues to serve as pastor of worship at Coquitlam Alliance Church in British Columbia. For me the 90s was all about Brit Pop. As a British teenager in the 90s, wearing my adiddas trousers and the latest Liverpool kit, it was a time when music started to became a big part of my life. Oasis, Blur and any new guitar indie music I was into. Of course there was other music and sounds of that time I knew of. Dance music in the 90s had a very distinctive sound, Underworld with Born Slippy, The Chemical Brothers even the track Robert Miles, Child has a sound that reminds me of the mid 90s. In the pop world you had The Spice Girls and ummmm some other poppy bands, that I can't remember now. You also had 90s hip hop, now those artist kind of passed me by a little at times. Yet Hip Hop from that time definitely has a distinctive sound. Wu-Tang Clan, Public Enemy, Beastie Boys, Cypress Hill, Fugess, Notorious BIG, 2Pac, Dr Dre all created a style and a sound we have come to know so well. If I have missed any artist that is really obvious, I'm sorry. So to see Andrew Marcus make a 90s inspired Hip Hop album under a new alias Addition, well I was very excited. From speaking to the main man himself about this project you can tell he has this excitement about it and that he has enjoyed making these songs. If anything these songs are for himself . Yet from the moment I played them I knew this EP deserved an audience. So what does this album from Addition sound like? Well yes it is inspired by the 90s but at the same time it doesn't sound old or even nostalgic, it works very much 'now'. Vocally it does tend to have a 90's Hip Hop feel and yes musically it does too, but it still works now. For only being six tracks long there is so much to get into and enjoy. 'Father's Heart' is a brilliant start and sets the tone and sound for the whole of the mini album. If anything this track really pushes the 90s inspired sound from the off. All the tracks on here are worthy of a listen but 'Lifting Eyes' is something very special. A song full of biblical truth with a stunning chorus. The track 'Hiding Place' is a beautiful heartwarming uplifting song. The message is all about God being there and on his throne. The way Addition raps with the beat it really does feel like a 90s track. (No Surprise!!) Don't look at this EP as a side project from Andrew Marcus. As Addition this is some of Andrew's best work to date. Whatever the next step in Andrew Marcus' career the options are really exciting.